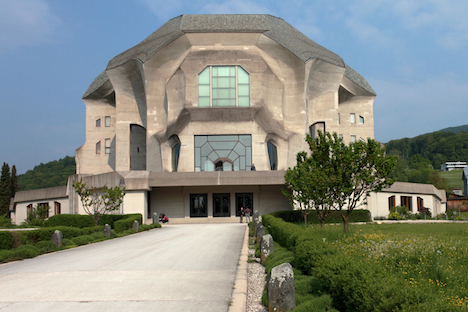 Text: Toru WadaGoetheanum is available for everyone, for free – it has lecture halls, a library, a book store, a gallery – hence it holds various events and conferences throughout the year. Here, you will be able to feel Anthroposophy, the spiritual world of which Steiner advocated. This vast estate also has a cafe and a restaurant which offers organic and biodynamic dishes – which Steiner established – and there is also a guesthouse. Not only the Goetheanum interior, but also outside it is surrounded by residential houses that were also designed by Steiner himself, characterised by the similar shapes – supple and clay-like. Just walking down Dornach Villa will make your heart leap with excitement. Students or retired people who live in the neighbourhood – who are not involved in Anthroposophy – are often found in Goetheanum, studying in the library or just taking a walk. It proves that Goetheanum and the local community is coexisting in peace. Although it is a bit far from Basel city, it is well worth the visit to see the roots of Anthroposophy.